“We decided to launch our own Lightning Network node because we really want to support this technology focused on enabling micro transactions in Bitcoin network,” said Anatoly Kaplan, CEO of ForkLog. No need to worry if you see the ‘Website is not available” message in your browser. Below is the description of the entire process of connecting to the node and opening a channel with ForkLog. 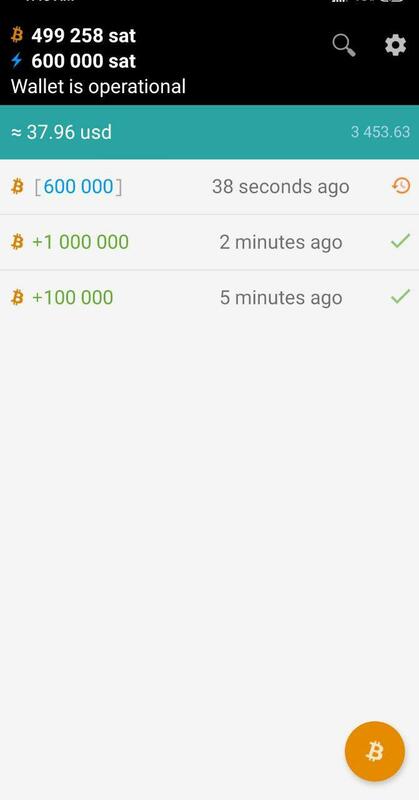 This is how you do this with Lightning Wallet (Android version only). After downloading and installing the wallet, make sure you do all the necessary back-ups and save the mnemonic phrase. Step 1. Top up your wallet. Step 2. Choose the Bitcoin sign in the bottom right corner. Step 3. Choose ‘Open new channel’. Step 4. Now you can see the list of the reachable nodes. Step 5. 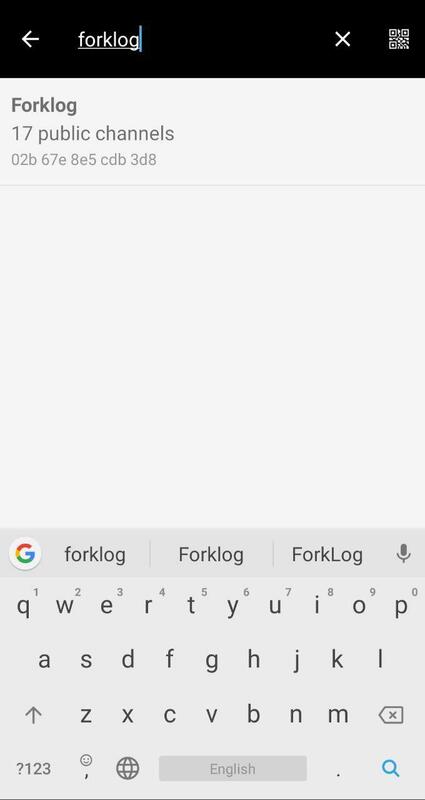 Now search for Forklog. Step 6. 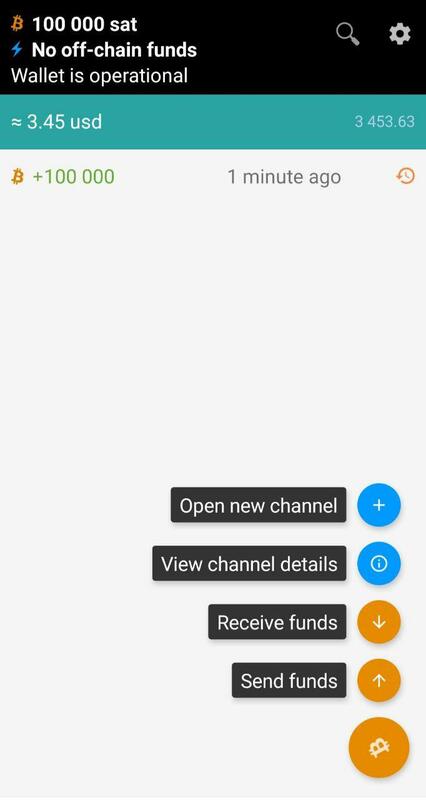 After choosing Forklog, you can see the channel settings window. Step 7. Send some Bitcoins to the channel you are opening. 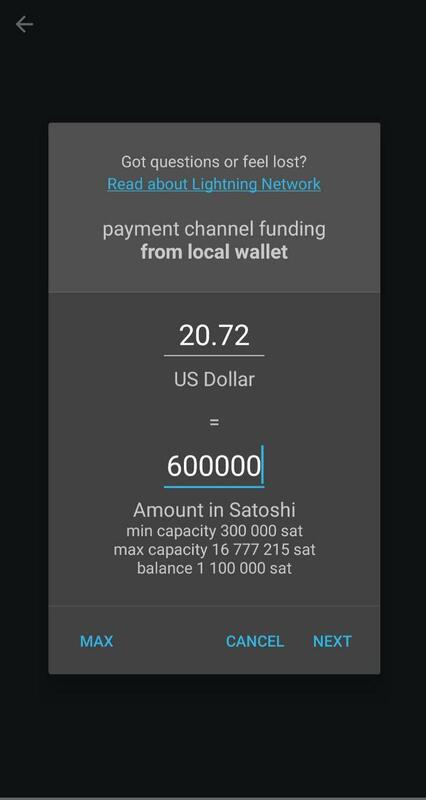 The minimum amount is 300K satoshis (0.003 BTC). 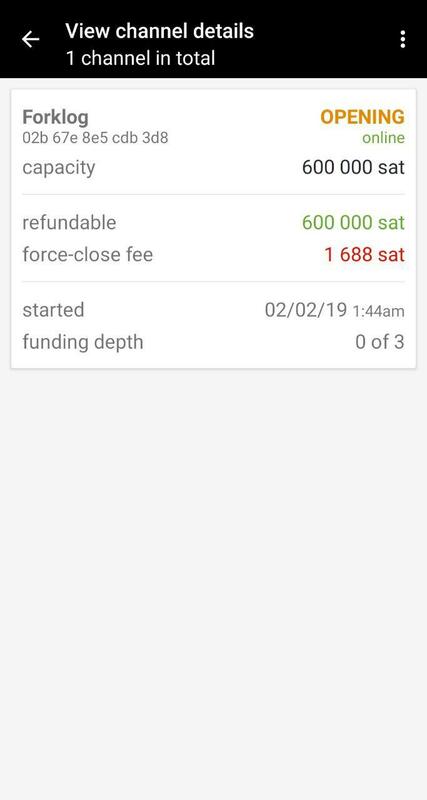 We decided to send 600k satoshis (0.006 BTC). Step 8. Now you have to decide on the miner fees. Step 9. Almost ready! Now you can that your channel is Opening. 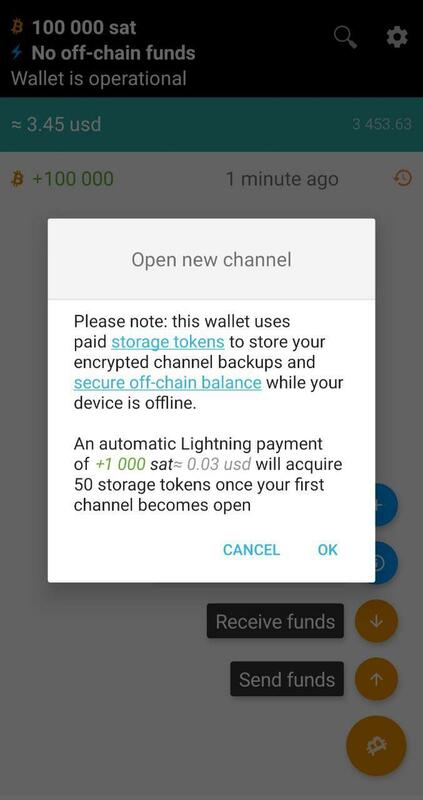 In a short while it will be fully opened and you can enjoy making Lightning transtactions. 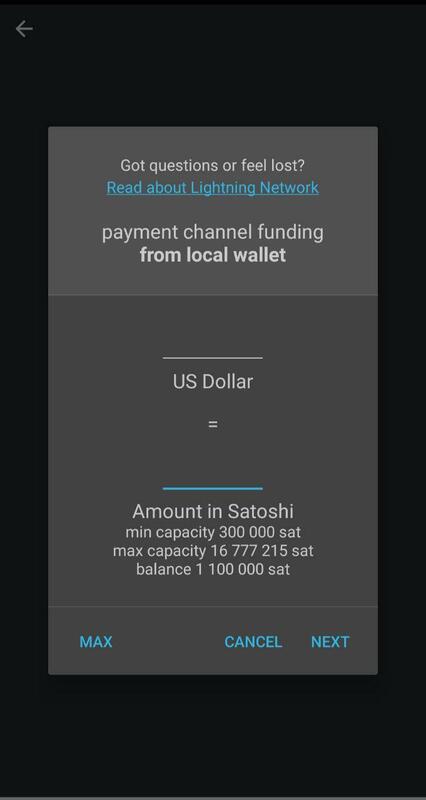 You can of course use other Lightning wallets, such as BlueWallet (available for iOS as well) or Bitfury’s Lightning Peach. More of them can be found here.